Thank you for your order! We'll be shipping your 5-Minute Phonics book out soon! Your child will be reading in no time! Get our matching Early Readers FREE! 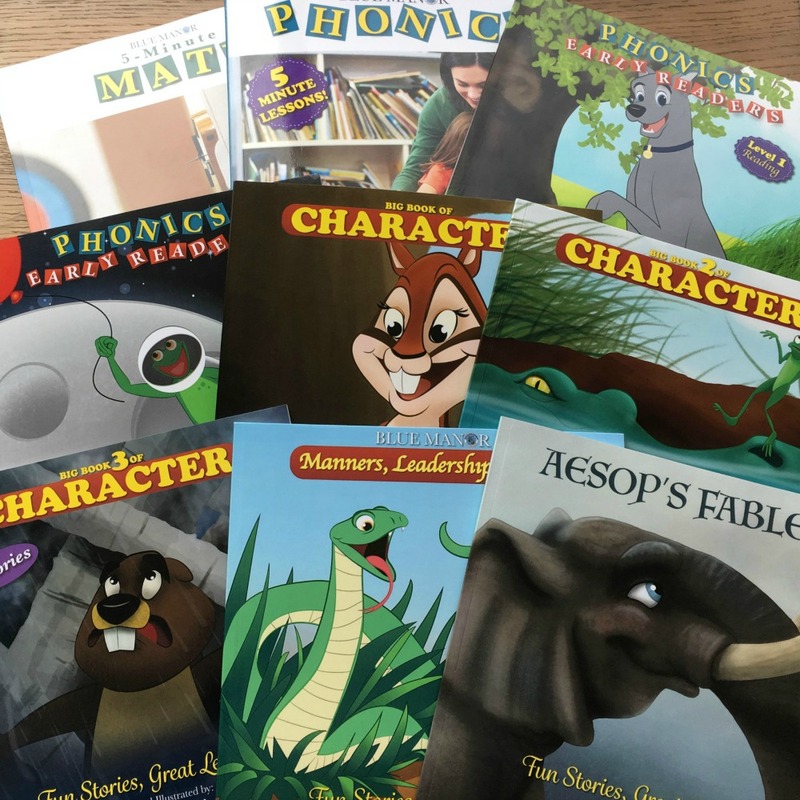 Since you purchased our 5-Minute Phonics Book, your child will be reading in no time! Help boost your child's confidence with our matching Early Readers! This collection of phonics early readers should be the first book your children read on their own. 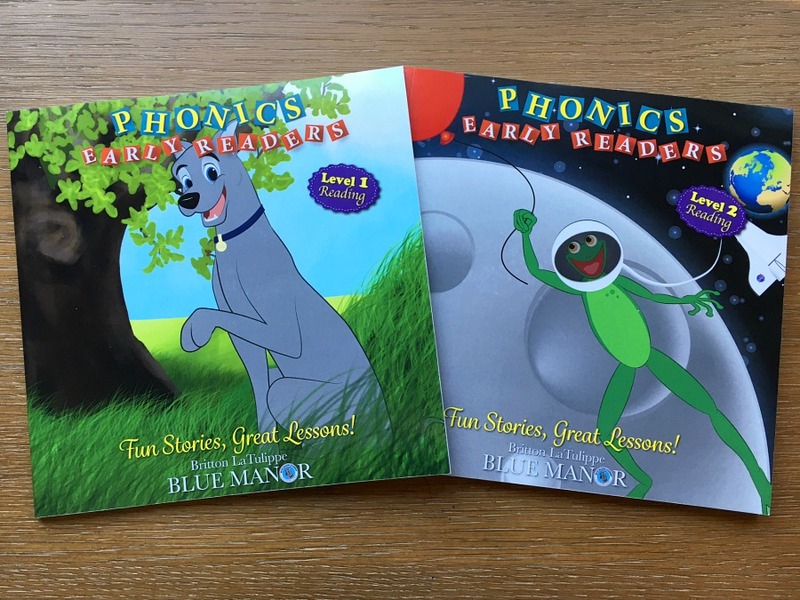 Your children will be able to read these with ease after some lessons from the 5-Minute Phonics book! 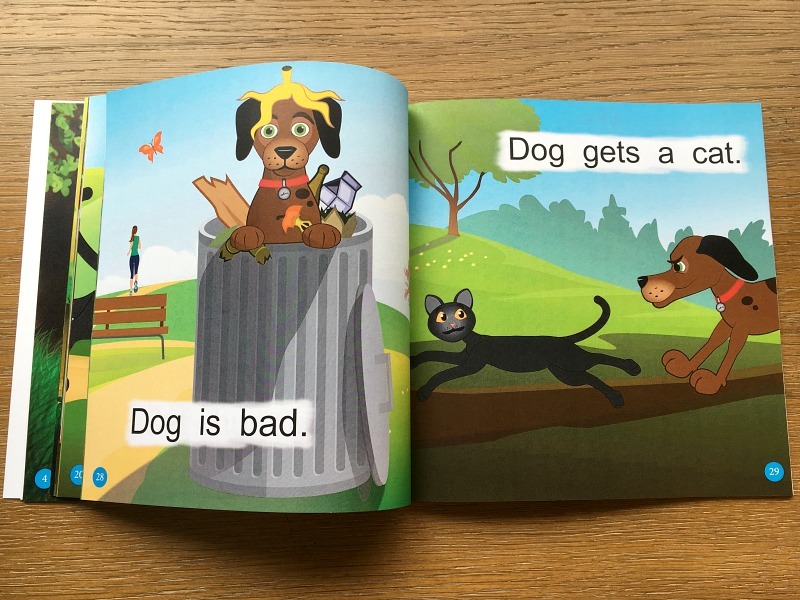 They'll love the simple and fun stories with vivid illustrations! 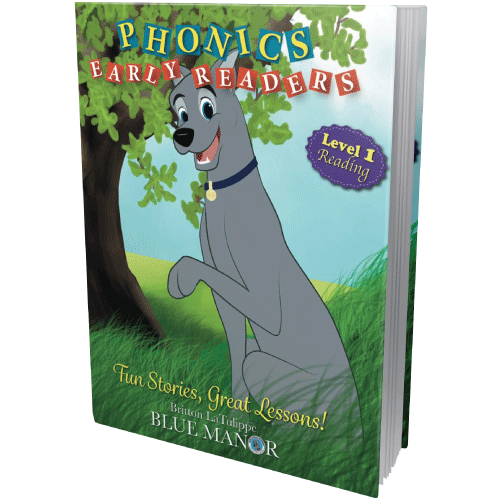 Designed to complement Blue Manor’s phonics system, this book is a fun and exciting confidence-booster for young readers. 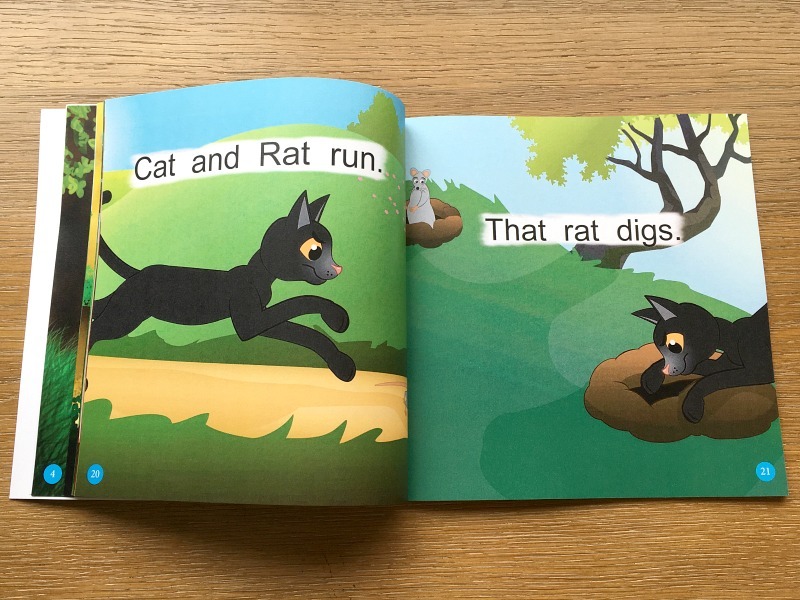 Phonics Early Readers (Level 1) is a collection of six fun stories: A Pet Pup, Dog Tags, Cat & Rat, Bad Dog, Crab’s Band, and Pig’s Pen. 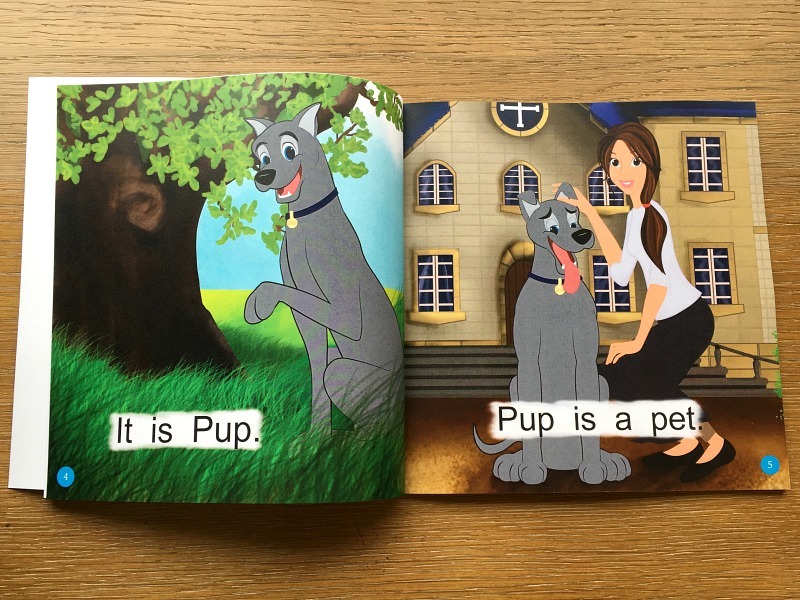 There are hundreds of good early readers out there, but none are this simple and include high-quality illustrations! "Supe cute! Great early reader!" - Jamie H.
You can get this amazing resource for FREE! Read more below! As a parent who cares about their child's accademic future, I am sure you know just how crucial the first five years of your child’s development are – that those first five years will have a far greater impact, for good or bad, than any other stage of development. That's why I compiled everything that your preschooler needs to know into one comprehensive curriculum set. I first started this program for my own children. 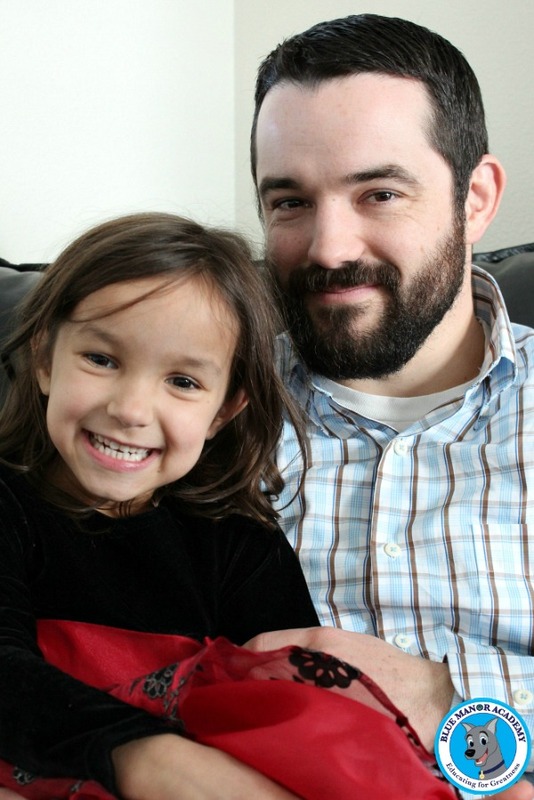 After seeing how much they learned after just a short period of time, I knew I had to share it with other parents. I've spent years testing and adjusting it, as I discovered new or improved ways to present the material. Now we have a finished product that you will find is highly accelerated, yet easy to teach and easy to learn. If you want to give your child a tremendous head start and you can spare 15 minutes a day, then Blue Manor's Christian Preschool Curriculum is the perfect solution. Our preschool curriculum is designed to help ambitious parents like you give your child an elite physical, intellectual and spiritual foundation – a foundation that lasts a lifetime. Parents love our preschool curriculum because it requires no lesson plans and no teaching experience, while producing outstanding results. After completing this set, your child could skip Kindergarten! They will be reading, writing, and doing math equations at a first grade level and beyond! This set is a $120.99 value, but since you are a valued customer, we're offering a special price, PLUS we'll give you Level 1 Early Readers for FREE! 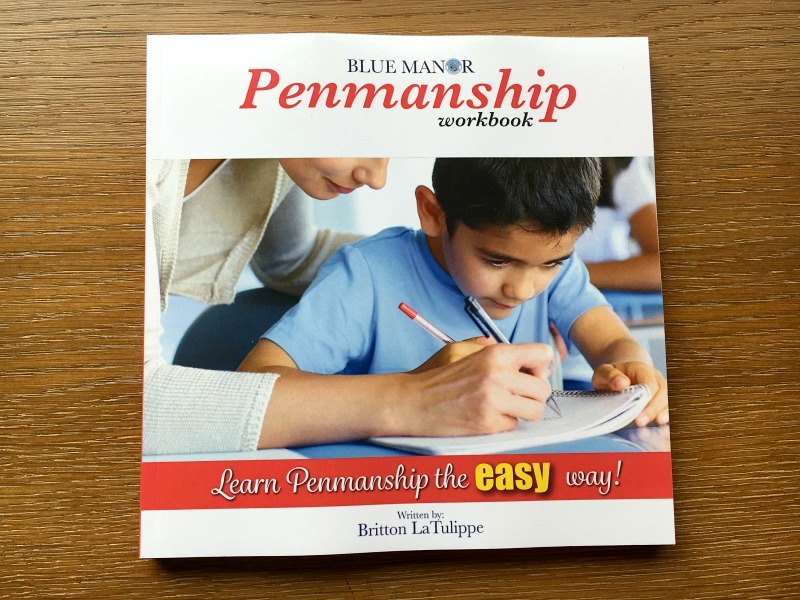 Blue Manor Penmanship is everything your child needs to become a proficient writer. This workbook begins with pre-draw exercises, moves on to penmanship for letters, numbers and punctuation, and includes plenty of blank penmanship worksheets at the back of for additional practice. There are 139 5-minute lessons involving learning how to construct letters and numbers, then tracing them, and finally composing them without guides. Our early readers are designed to compliment the 5-Minute Phonics system! After your child starts reading his first words in Level 1, he will be able to read the words in his first book! These books are fun and exciting book confidence-boosters for young readers. LEVEL 1 contains 6 stories: A Pet Pup, Dog Tags, Cat and Rat, Bad Dog, Crab’s Band, and Pig’s Pen. LEVEL 2 includes: Frog’s Snack, Frog’s Trip, Frog’s Swim, Hopping Mess, Pretty Bug, and Kip’s Hunt. 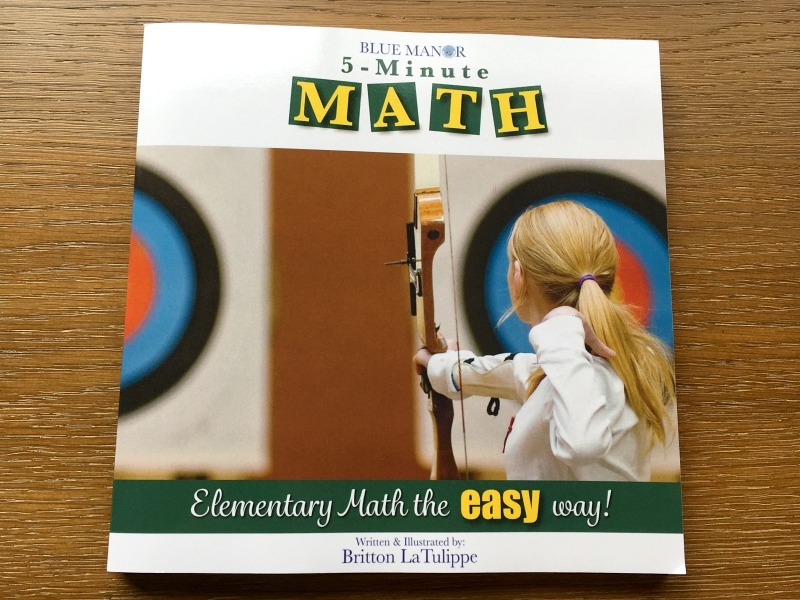 This informational workbook is designed to be the simplest, most pain-free elementary math program on the planet! Designed for children ages 3-9, the book will take them through a series of foundational lessons, starting with an introduction to numbers and counting, and progressing into shapes, values, place values, addition, subtraction, counting money, skip counting, multiplication, telling time, division, fractions, percents, decimals and angles. 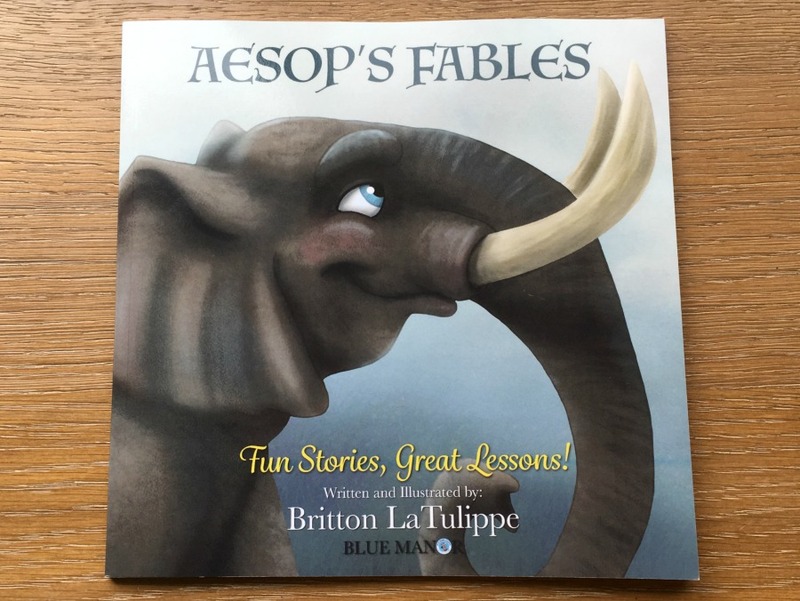 Master illustrator and storyteller Britton LaTulippe gives new life to Aesop’s timeless fables with amusing dialogues, clear moral lessons, and magical illustrations all created to excite the imagination while imparting age-old wisdom. Twenty of Aesop’s fables are included: Turtle & the Hare, Lion & the Mouse, Fox & the Crow, Goose & the Viper, Two Proud Goats, Wolf In Sheep’s Clothing, Lioness & Her Cub, The Difference Between An Elephant & A Rat, The Ambitious Crow, Who Will Bell the Cat?, The Sheep Who Cried “Wolf!”, Eagle & the Arrow, Bear & the Bees, Grasshopper & the Ant, Cat’s Paw, The Vulture’s Meal, Flies On Honey, Brother Bulls, Sour Grapesand Kestrel & the Lady Eagle. Every child’s education should include a character curriculum. Blue Manor’s Character series is designed to develop a child’s understanding and desire to live according to the Godly virtues. 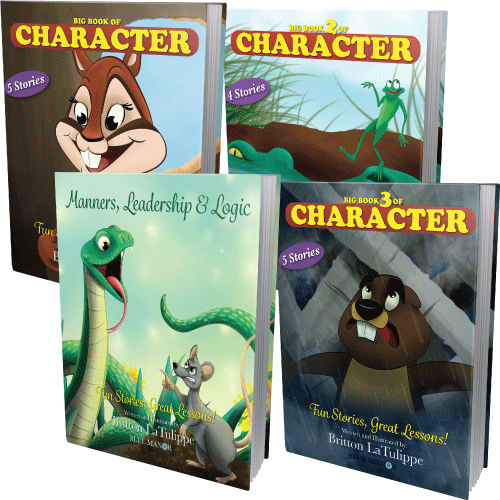 Our preschool curriculum set includes our four popular character-building books: Manners Leadership and Logic; Big Book of Character; Big Book of Character 2; Big Book of Character 3! Children love these entertaining stories and beautiful illustrations, and parents love the invaluable character lessons at the end of each story. Your information is 100% secure and will not be shared with anyone!